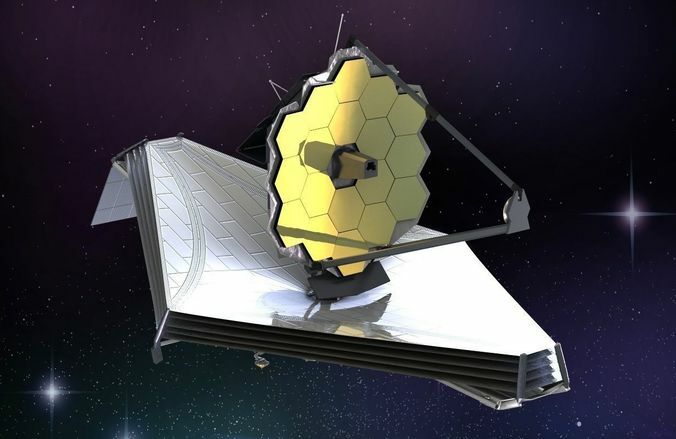 The James Webb Space Telescope 3d model (JWST or Webb) will be a large infrared telescope with a 6.5-meter primary mirror. The Next Generation Space Telescope will be launched on an Ariane 5 rocket from French Guiana in Spring 2019. Was used procedure materials for textures. If you want to use correctly colors and materials, please use max file. Please use HDRi map (included) for reflections. You can control polygons by using meshsmooth function. Units: Metric.